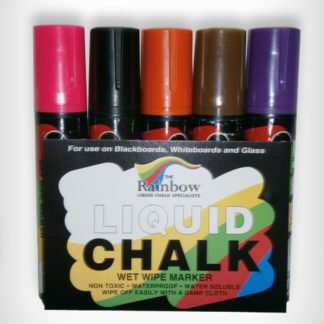 Liquid Chalk, highest quality. 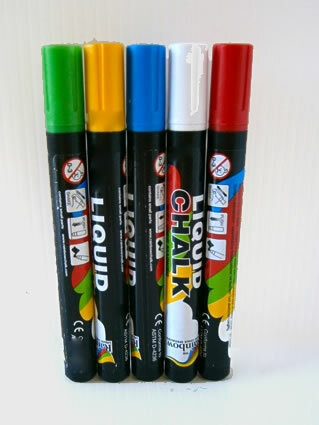 Choose from 13 colours. Delivered worldwide. 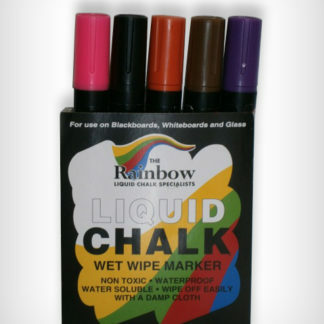 Rainbow Liquid Chalk is the ideal marker for any non-porous surface. 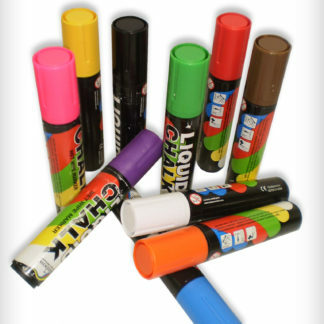 Our bright vibrant colours are perfect for signage of all kinds. 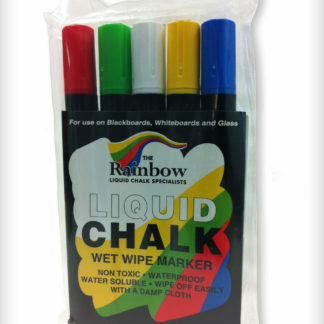 Ideal for interior and external retail signage. 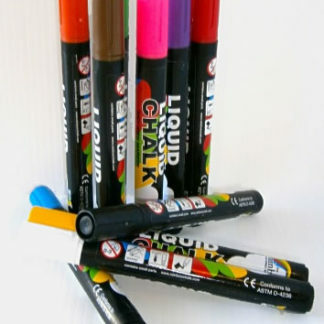 Our pens are well respected for being smudge proof and rain tolerant. 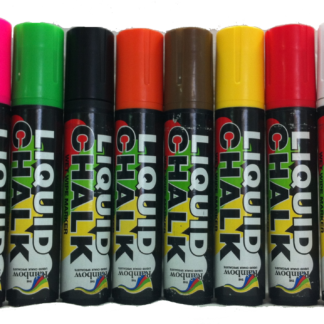 You’ll struggle to find a better liquid chalk pen on the market! 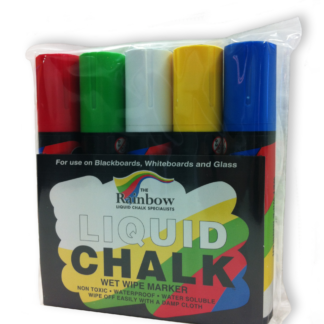 The perfect marker for blackboards, whiteboards, metal and glass. 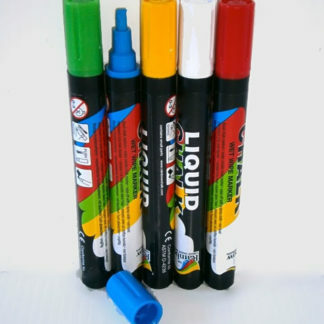 Choose your nib size, from 5mm to 15mm. 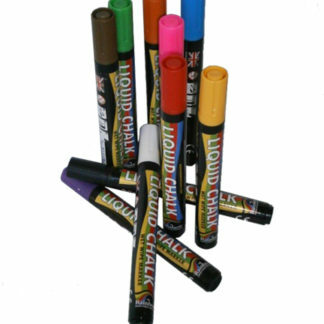 A 5mm nib size gives you accurate control over your text for small scale work. 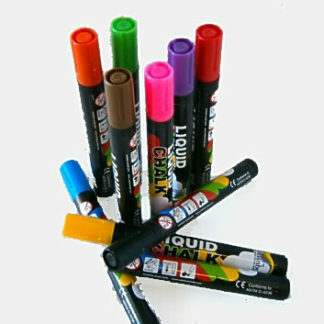 Our 15mm nib size make larger areas easy to colour, as well as larger text writing a breeze..
Browse our products below – you can purchase online and we deliver worldwide.